Find the following for path A in Figure 2.71: (a) The distance traveled. 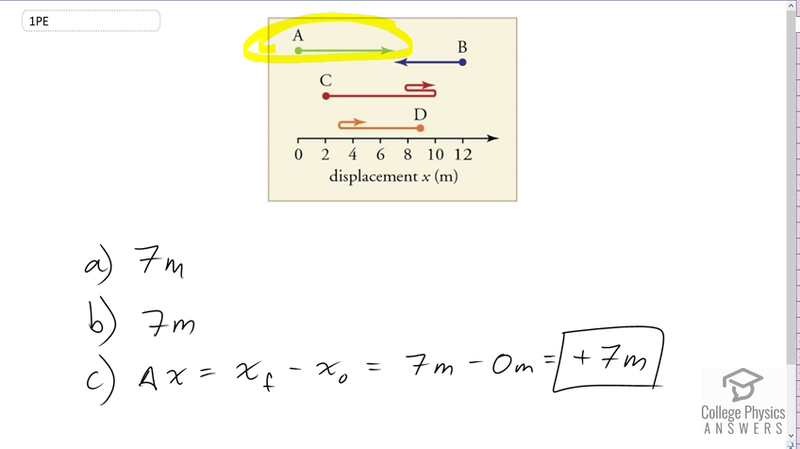 (b) The magnitude of the displacement from start to finish. (c) The displacement from start to finish. Hi ariwicaksono, since we're reading from a picture this is open to personal opinion, but I would say the arrow stops at the 7.